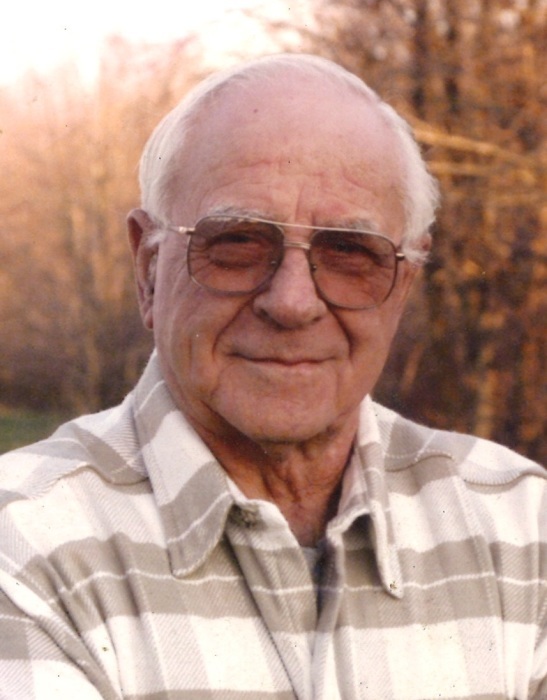 Clyde Lawrence Myers August 12, 1925-January 23, 2019 John 11:25-26 Jesus said to her, “I am the resurrection and the life, He who believes in me will never die.” On the morning of January 23 Clyde was welcomed into Heaven where he has so longed to be and into the arms of Jesus where his beautiful wife Catherine(Kate) also awaited him. Clyde was born on August 12, 1925 in Plymouth, Indiana to Jacob and Anna (Metzler) Myers. Clyde was one of 16 children, he had 11 brothers and 4 sisters all of which preceded him in death, he is survived by a sister in law Virginia Myers. He and Catherine(Kate) Henderson married on September 2, 1945 together they had 7 children who survive them. Anna(Blaine)Pond, Cathy(Bob, who preceded him in death)Stewart, Pamela(Garry) Camden, Vickie(Rodger)Cameron, Tina(Scottie) Mitchell, Brenda(Gary) Hawley, Keith (Michele) Myers. Clyde was very proud of the enormous family he was part of creating; he was grandpa to 37 grandchildren: Christina(Cliff)Clites, Chad(Michele)Pond, Troy(Justine)Pond, Lori(Jason) Aughinbaugh, Todd(Ashley)Pond, Jason Sutherland, Marc (Christie) Sutherland, Cynthia Dennison, Mathew Dennison, Greg(Shannon) Camden, Kurk(Brandy) Camden, Brooke (Kory) Keen, Israel(Nicole)Alvarado, Kara(Kevin)Trivett, Brooke(Joe)Hanaway, Zachary(Rachel)Mitchell, Caleb(Bekah)Hawley, Sarah(Jason)Thomsen, Justin(Valarie)Myers, Bradley(Sara)Myers with 4 grandchildren who preceded him in death. 54 Great Grandchildren and several great great grandchildren. Clyde was a member of the United Methodist Church where he was a teacher, a trustee, superintendent, and an elder and Chairman of the Board. He was a member of the Odd Fellows Lodge, 29 years of dedicated service at Amboy Fire Department having served as Fire Chief. The owner and operator of M & M Builders, Inc., Amboy, Indiana. He enjoyed camping, fishing and found great joy in his pond and his dog. Funeral Services will be held at 11:00 A.M. Saturday, January 26, 2019 at Amboy Friends Church, 110 E. Pennsylvania, Amboy, IN, with Pastors Bruce Mughmaw and Dwight Elliott officiating. Burial will be in Park Lawn Cemetery. Visitation will be held from 1:00 P.M. to 8:00 P.M., Friday, January 25, at the Laird-Eddy Funeral Home, 201 N. Main, Amboy, IN and 1 hour prior to the service at the church. 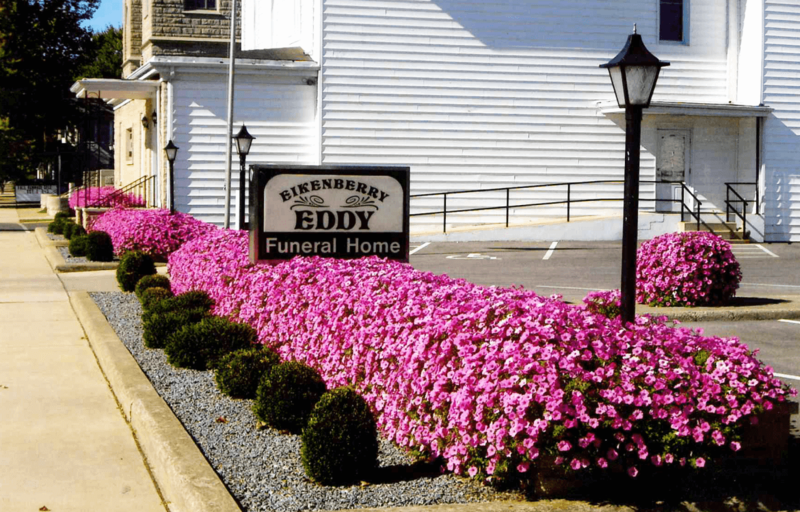 In lieu of flowers donations may be made to Amboy Volunteer Fire Company, Inc. or to the American Diabetes Association.